Owning an Annapolis waterfront home is a dream come true for for many. When you’re thinking about buying a waterfront home, there are many questions to ask yourself first. Thankfully, there are no right or wrong answers. This is a very personal decision and every buyer has different hopes and dreams for their waterfront home. So, what is your why? In other words, what is your goal? Understanding your goal is an important first step in choosing a waterfront property. Having a goal will help us find the waterfront property that’s a perfect fit for you. Both the home and the property should support your lifestyle and meet your needs. Some buyers simply want to look at the scenic view out the window versus other buyers who want to be out boating every weekend. Whether you’re looking for relaxation or recreation, Annapolis offers a variety of waterfront homes to meet your lifestyle goals. No matter what phase of life you’re in, it’s helpful to consider the other people in your life who will be enjoying your waterfront home with you. Some buyers are planning to live in the home with their family as their full time residence. 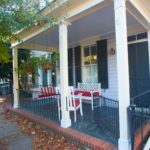 Other buyers may be considering a vacation home or rental property. Additionally, the goal for some buyers is to invest in a waterfront home as a way to leave a family legacy for generations to come. Since not all waterfront properties are created equal, it’s important that you be very specific about what your deal breaker is. This is your nonnegotiable. If privacy is your goal, then finding a quiet, secluded property is a priority. If launching a boat from your private pier is your goal, then water depth is a nonnegotiable requirement for you. 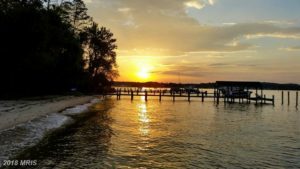 Here in Annapolis and Anne Arundel County, buyers have many waterfront options from which to choose. Whether it’s a river, a creek, a lake or the bay, different bodies of water lend themselves to different types of homes, properties and experiences. Together we can find the waterfront home of your dreams. If you are trying to decide whether to buy on the bay or the river, I would love to chat with you. I have a wide variety of homes that I can share with you and guide you through the waterfront home buying process.